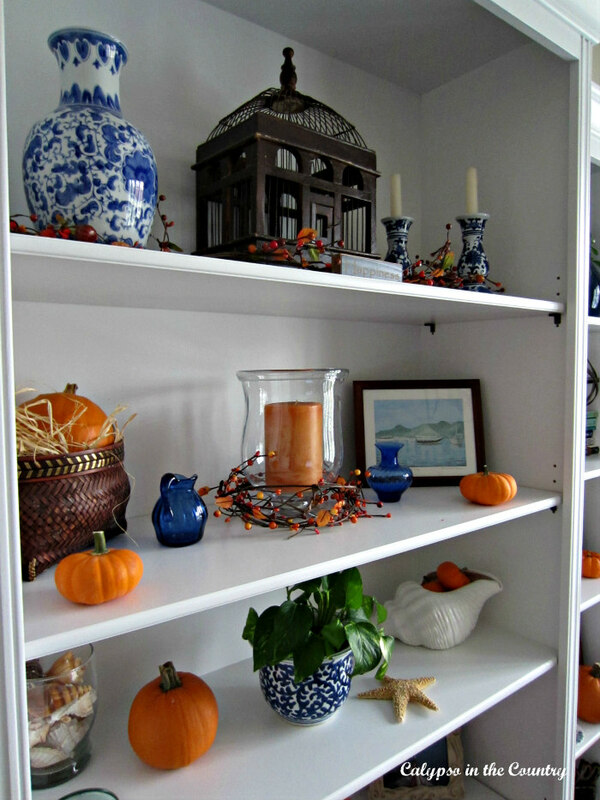 If you are like me, you love blue and white but don’t want to pack it away for fall. Who says you have to?! 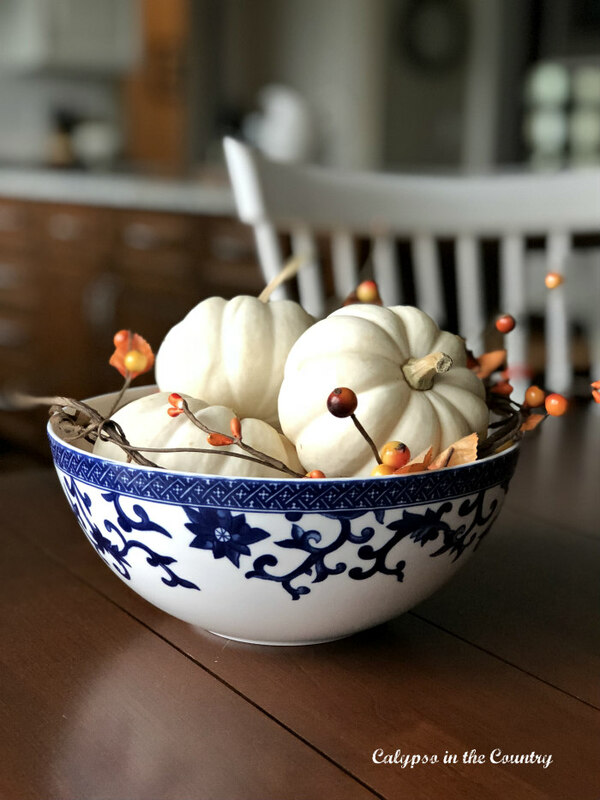 Just throw some pumpkins in a blue and white bowl with a little bit of faux bittersweet. Suddenly that blue and white is looking quite festive! Isn’t this chinoiserie pumpkin gorgeous? My friend, Karolyn from The Relished Roost painted it for me a couple years ago. I love having it out in the middle of my island this time of year! If you aren’t talented enough to paint something like this, consider doing a simple blue and white buffalo check instead. How easy is that? Now my bar tray has an autumn vibe. 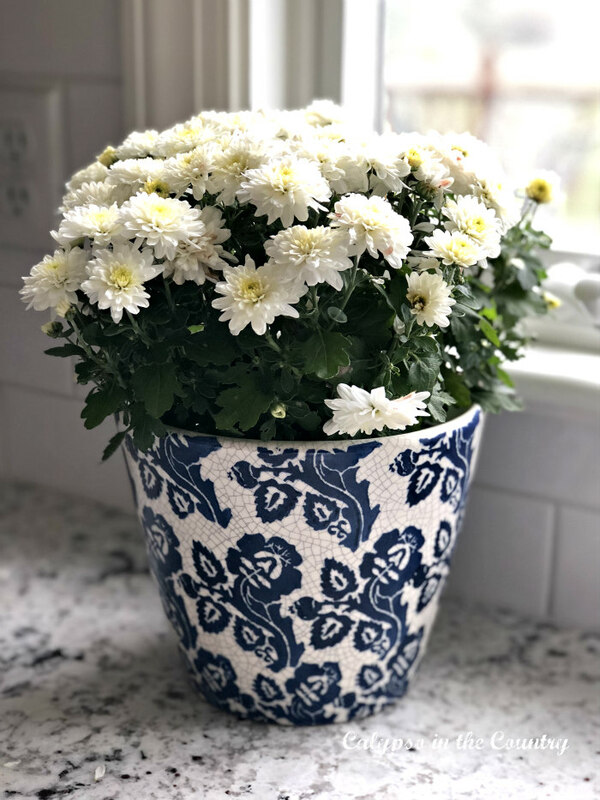 Since you will probably be buying mums anyway, use your blue and white to dress them up! I have seen sunflowers in all the grocery stores and farm stands so they should be easy to find. 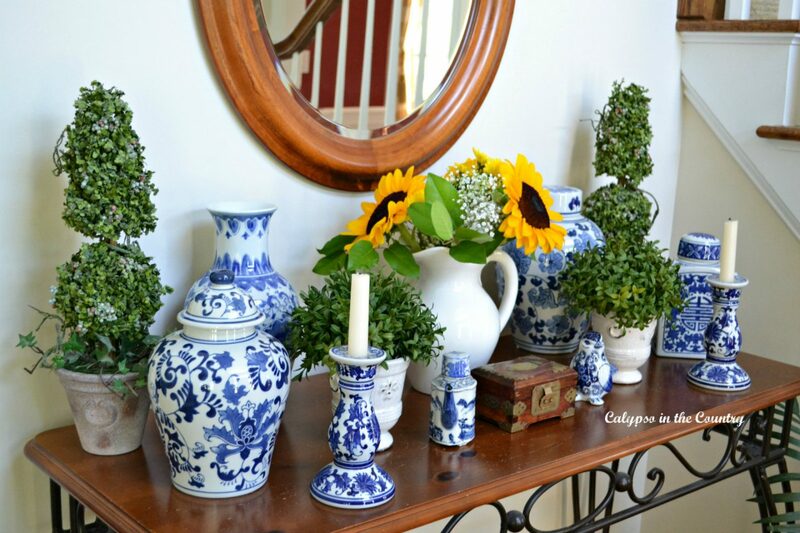 You can see more details on this tabletop vignette in my post, Blue and White with Sunflowers in the Foyer. 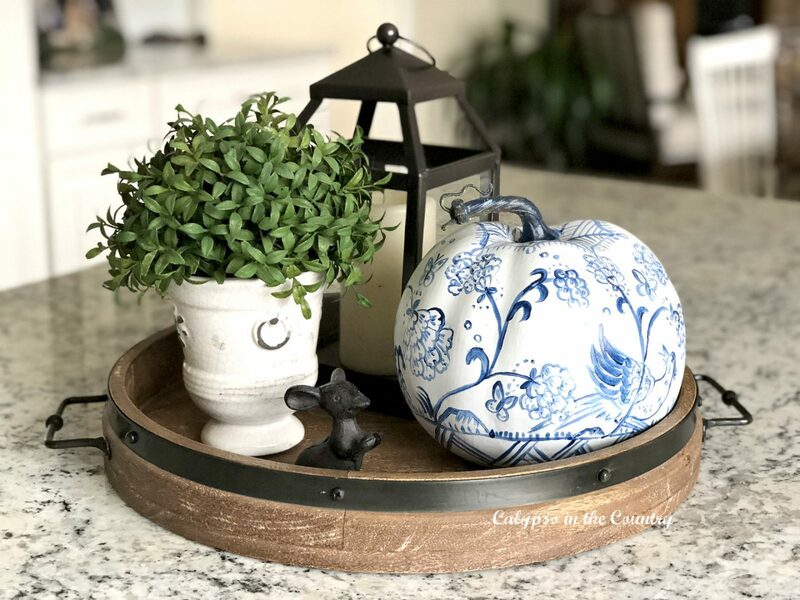 Although, the blue and white was subtle in this tablesetting, it had a fall vibe due to the rustic pieces and the mini white pumpkins. 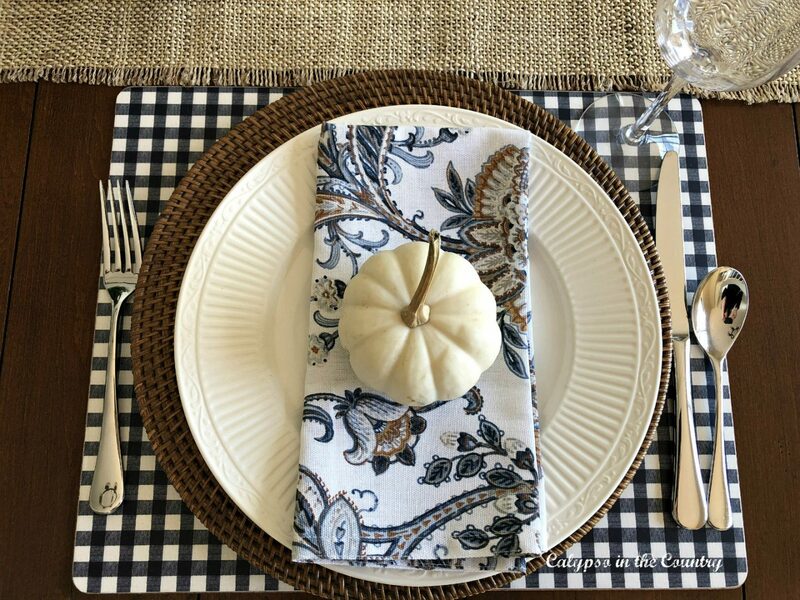 If you want to see how the whole table turned out, click over to Simple Fall Table Setting with White Pumpkins. After all, orange and blue are complementary colors. Just adding a few pops of orange can really liven up the blue and white. Last year, I bought a few orange pillow covers on sale at Pottery Barn. 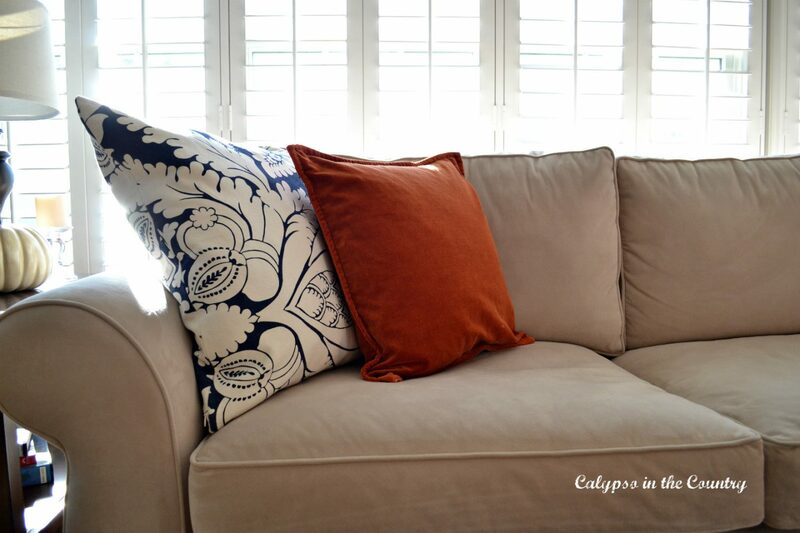 I switched out the pillows on my couch with the orange and loved how it looked with the blue. You can see how they coordinated with my coffee table vignette by clicking over to my post, Simple Fall Vignette and a Couple Pillow Options. 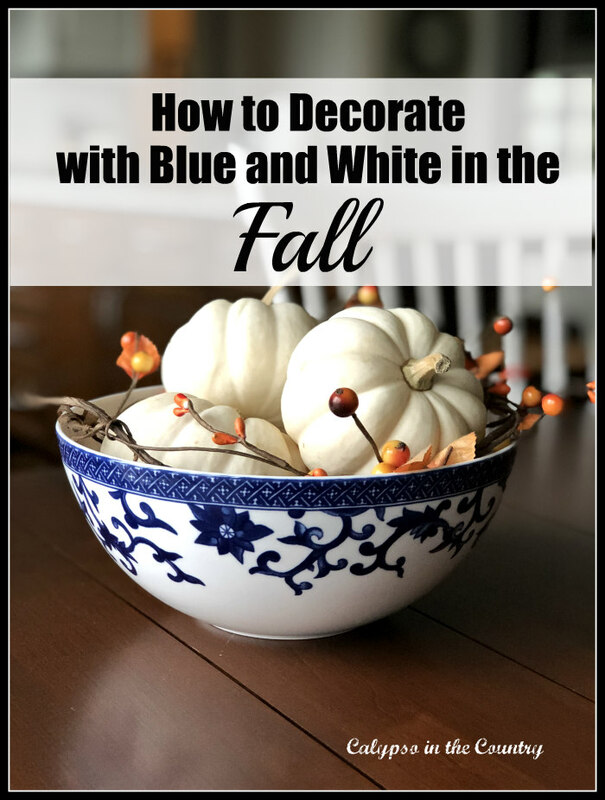 Not only is this a super-easy way to add a fall touch, but it doesn’t steal the attention away from the blue and white that we all love! 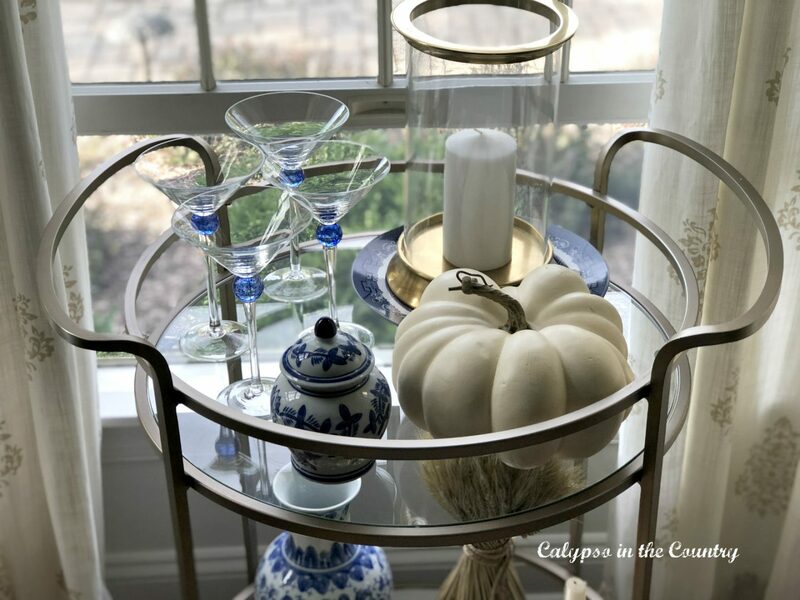 You can see more of my bar cart dressed up for fall here – 3 Ways to Decorate a Bar Cart for Fall. 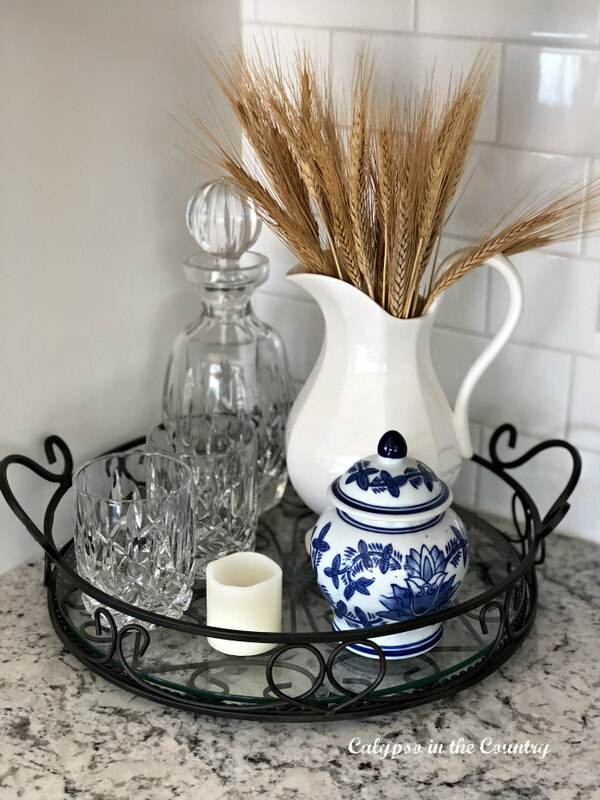 I hope I gave you some ideas to dress up your blue and white for the fall season! Cheers to Blue and White for Fall! Previous Post Best of the Weekend – October is Here! Thanks so much, Pam! I love having it out all year. Thanks for taking the time to comment! Fall colors look so pretty with blue and white. All of your fall vignettes are so pretty! It all looks so gorgeous and you have made the blue seem perfect for fall. I am featuring you today at TFT. Thanks for sharing with us! Have a great day! What a nice surprise…thank you so much!